Rooted in the early experiences and sensibilities of its founders—Frances “Frankie” Moore Lappé and Joseph Collins—Food First has been working to end the injustices that cause hunger since 1975. Since its first book, Food First: Beyond the Myth of Scarcity, Food First has gone on to publish over 60 books and hundreds of articles and research reports exposing the root causes of hunger and amplifying the voices of the communities and movements advancing real solutions. 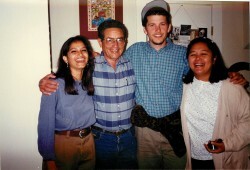 Over the years Food First staffers, fellows and interns have gone on to form new organizations including Pesticide Action Network, Neighbor to Neighbor, Global Exchange, Center for Living Democracy, Focus on the Global South, Korea Policy Institute, Land Research Action Network, Oakland Institute and the Oakland Food Policy Council. 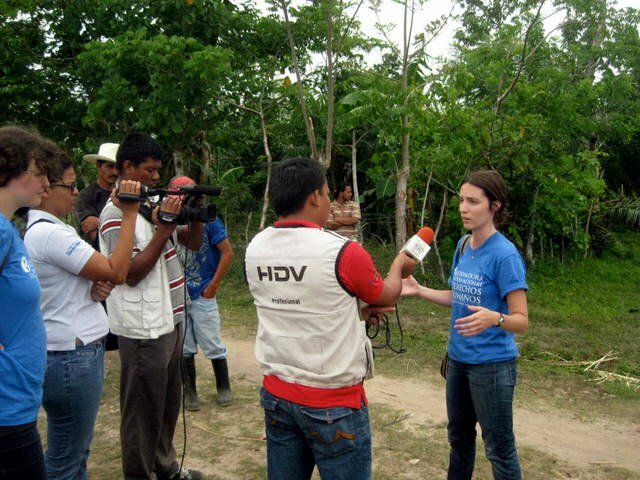 In 2010, Food First launched its Food Sovereignty Tours program to bring scholars, activists and farmers to the front lines of the global food movement. See below for a more detailed history. A documentary history of Food First, 1975-2015 produced by Food First Fellow William Wroblewski. The Institute for Food and Development Policy, aka Food First, is the US’s “most established food think tank;” with 40 years of working with fellows and interns to establish that economic policy at all levels determines the extent of poverty—not a shortage of food. 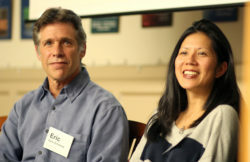 Food First founders Frankie and Joe came of age in the 1960s during the US civil rights movement, Viet Nam war protests, and Lyndon Johnson’s War on Poverty. 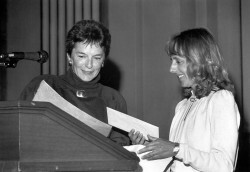 In the midst of this political turmoil, Frankie began posing the question “Why is there poverty in the richest nation on earth?” Her analysis led her to write the book Diet for a Small Planet, which argued that world hunger was not caused by scarcity, but by ineffective policies and the maldistribution of resources. This argument has remained at the core of Food First’s work for four decades. Diet for a Small Planet went on to sell over three million copies and continues to inspire consumers and activists to join the movement to eradicate world hunger. 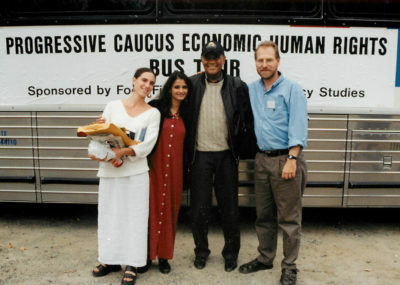 At the time, Joe Collins was working at the Washington DC-based Institute for Policy Studies, where he wrote the book Global Reach about the impact of transnational corporations in the Third World. He met Frankie at the first World Food Conference in Rome in 1975. That same year they founded the Institute for Food and Development Policy, Food First. In January 1977 Food First’s offices were moved from Frankie’s house in Hastings-on-Hudson, New York, to an office above a bakery on Mission Street in San Francisco. David Kinley, formerly with the North American Congress on Latin America (NACLA) and Corporate Data Exchange, was the third person to join the staff. 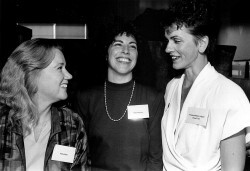 By 1979, Food First staff had expanded to ten full-time and six part-time staff, plus at least 25 interns. Many of Food First’s loyal, long-term donors were also financially supporting Food First at this time. The 1980s were a time of tremendous changes in the world. The U.S. government involvement in Central America, the fall of the Marcos regime in the Philippines, and the collapse of the Soviet Union affected not only the countries involved, but also the balance of power in the world. It was also a time for great, creative program building at Food First, spawning numerous other organizations. 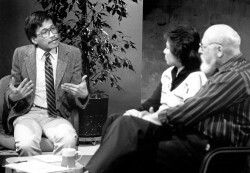 Food First’s 1981 book Circle of Poison led to the creation of Pesticide Action Network, an international network of groups concerned about pesticide poisoning. Food First’s advocacy around Central America included the 1984 Central America Television Organizing Project, which split off from Food First in 1986 as the lobbying organization Neighbor to Neighbor. In 1986, Food First staffers Kevin Danaher and Medea Benjamin opened a fair trade store in a small garage front in San Francisco, which led to the creation of the organization Global Exchange the following year. In 1989, Ballantine Books published Frances Moore Lappé’s book Rediscovering America’s Values, and shortly thereafter Frankie left Food First to form the Institute for the Arts of Democracy, later called the Center for Living Democracy. The 1990s saw the global advance of free market ideology imposed by international financial institutions such as the World Bank, the International Monetary Fund and the World Trade Organization. So-called structural adjustment eliminated much of the social safety net in both the Global North and the Global South, as inequality skyrocketed, rural out-migration surged, and increasing numbers of the middle class dropped into poverty. Food First’s educational role during this period focused on empowering thousands of students, educators and concerned citizens worldwide, to better understand the impact of economic globalization. Beginning in 1994, Food First stepped up its campaign for the economic human rights of all people to access the resources to feed themselves and their communities, including two congressional hearings and two bus tours with the Congressional Progressive Caucus and the Institute for Policy Studies. In the new millennium, Food First continued to analyze the ways economic globalization impacts the food system and jeopardizes people’s human rights. In conjunction with the offices of Reps. Dennis Kucinich (D-OH) and Barbara Lee (D-CA), Food First staff convened a 2003 congressional briefing on the impacts of trade policies on US workers. also worked with indigenous and peasant activist groups in the streets of Cancún as well as inside the convention center where the 2003 WTO ministerial was held, protesting the inclusion of agriculture within WTO trade rules—and we rejoiced when the talks collapsed entirely. also continued to highlight alternatives, such as Cuba’s large-scale conversion to organic and sustainable agriculture since the collapse of the Soviet Union. 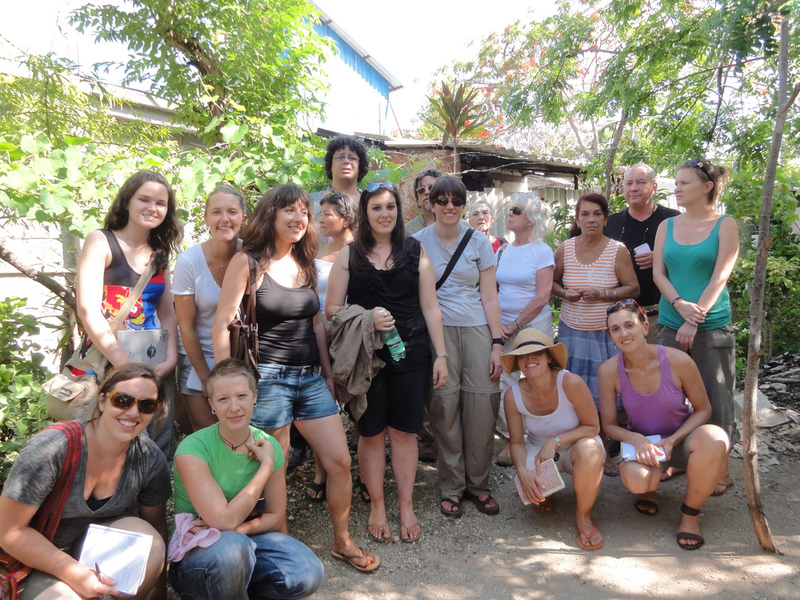 Food First has led numerous sustainable agriculture delegations to Cuba and sponsored training, exchange and outreach programs to increase awareness of the Cuban experience and to help extend Cuban expertise in sustainable agriculture to the rest of the world. Without land, there is no food, and genuine land reform is desperately needed to redress vast inequities and help ensure all people’s right to feed themselves. In partnership with organizations in Thailand, Brazil and South Africa, Food First convened the Land Research Action Network (LRAN) to link activist researchers with each other and with grassroots movements in their efforts to democratize access to land. A book on the history and current state of global land reform grew from this collaboration Promised Land: Competing Visions of Agrarian Reform. Food First also published the story of one of the most successful grassroots movements for land in the world—Brazil’s Landless Workers’ Movment (MST)—in Angus Wright and Wendy Wolford’s 2003 book, To Inherit the Earth: The Landless Movement and the Struggle for a New Brazil. With over years experience working with farmers in Central America, Eric Holt-Giménez joined Food First as its Executive Director in 2006. His book, Campesino a Campesino: Voices from Latin America’s Farmer to Farmer Movement for Sustainable Agriculture, tells the story of the spread of sustainable agriculture through farmer to farmer methods in Central America, improving livelihoods for hundreds of thousands of rural families. Then came the 2007/2008 global food crisis, which sent prices for basic food staples soaring and people flooding the streets in protest. Food First was at the forefront of analyzing the root causes of this crisis with the 2009 publication of Food Rebellions: Crisis and the Hunger for Justice. The book was also innovative in describing the protests not as chaotic and impulsive “food riots” born of hungry bellies, but as popular rebellions against an unjust system. The 2011 book Food Movements Unite! Strategies to Transform Our Food Systems picked up where Food Rebellions left off, bringing together grassroots voices from around the world to address the critical question: How can we unite to transform the global food system? Food First’s coalition work includes co-founding and serving on the steering committee of the US Food Sovereignty Alliance ; working with African farmer and women’s groups as they challenge the green revolution through their “We are the Solution” campaign; and convening a group of activists and researchers to address land grabbing and land access through the Land & Sovereignty in the Americas Collective. Locally, Food First incubated the Oakland Food Policy Council. In 2010, Food First educational travel program Food Sovereignty Tours, offering several delegations each year to regions with some of the most innovative approaches to food system transformation including Cuba, Bolivia, Italy, the Basque Country, Oaxaca, Korea and the San Francisco Bay Area. While Food First responds to the most pressing needs and issues facing producers and consumers worldwide, its core mission remains the same: to end the injustices that cause hunger. Over the last four decades these injustices have only gotten more complex—they include land grabbing and land concentration; climate change; corporate control of seeds; militarism; structural racism and sexism; violence against women; trade liberalization and deregulation; and labor exploitation throughout the food supply chain. But movements for the democratization of food, land and political systems are also stronger than ever. The international peasant movement La Vía Campesina, for instance. Conversations about food in the US have gotten richer and deeper, pointing to the growing political power of food producers, workers and consumers. Food First is proud to be a part of this flourishing movement, and energized to continue the struggle with your support and collaboration.